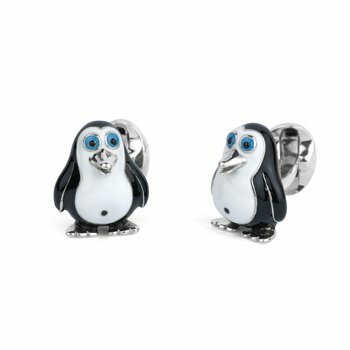 Big, bold and daring! 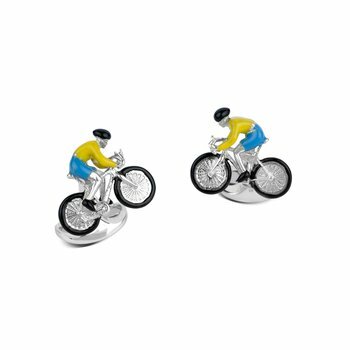 These cufflinks have been designed to stand out! 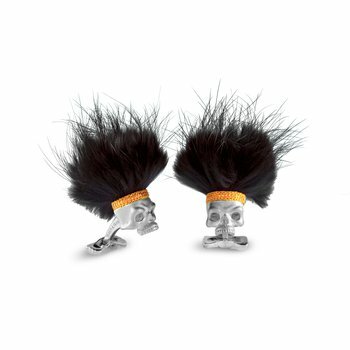 Made from sterling silver, the savage skull head features a big mass of furry, black hair - complimented by a bright orange, detailed braided headband. 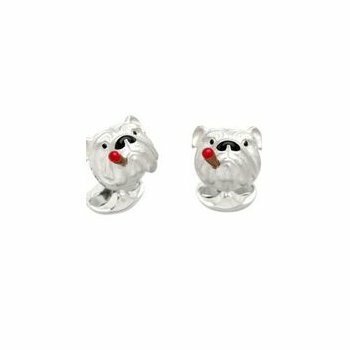 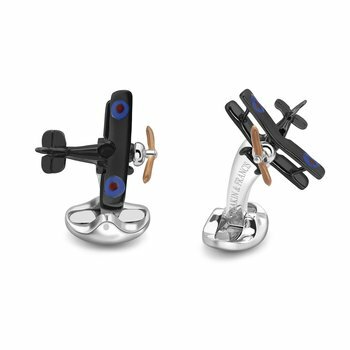 Go on - show your inner boldness and choose these striking cufflinks. 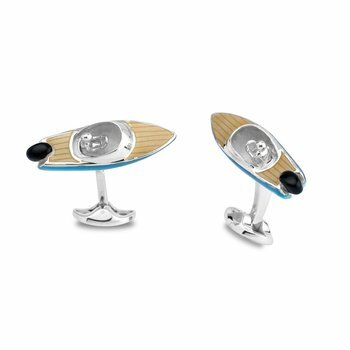 This innovative design also has a a unique bone design fitting and comes with full Deakin & Francis hallmarks for authenticity.